Thoughts on the Penn State game, and what it means for Michigan going forward. What can I say? I saw the game...you saw the game. We all know what happened. It was ugly. Rebuilds are tough. I don't care if "this is year 3 dangonit!" When you lose something like 43 seniors and 17 starters...I don't care what year it is. Nothing impacts an offense like returning starters and experience. Penn State, for what it's worth, returned 16 starters including 9 on offense. You can't compare the course Harbaugh is on with Michigan to any other coaching hire. You just can't. Harbaugh took over a Hoke program that was being driven into the ground and built back-to-back 10 win teams with pieces and parts leftover. Now, this season, the true rebuild process begins. The past is the past. You can't change it, you have to move forward. Because for all of the hand-wringing over the quarterback situation, the offensive line, the offense as a whole...for this Michigan team, it's all about the future now. It might've been all about the future before, but now with two league losses, in this division, that about seals the deal for Michigan's shot at a conference title. I don't know what starting John O'Korn buys you now? He's gone after this season. And spending any more capital on trying to squeeze whatever else you can out of he or Wilton Speight (pending his eventual return) probably isn't the best course of action. Clearly the future of this program rests on the arm of Brandon Peters and/or Dylan McCaffrey. For my money, I want to see what Peters can do now. Michigan has 3 reasonably winnable games coming up that could give a new quarterback some time to gel leading up to the final two games of the season. O'Korn, at this point, is just a viable backup. The defense was gashed yesterday by a truly remarkable duo of McSorley and Barkley. 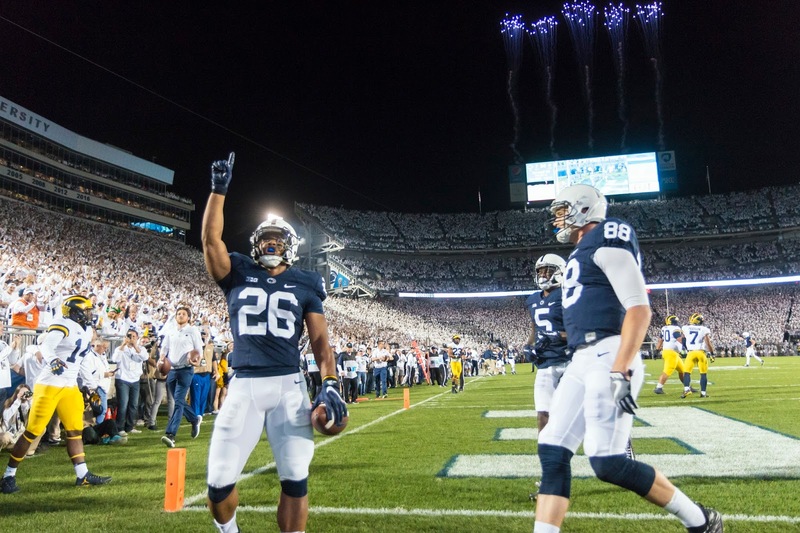 Saquon Barkley, ladies and gentlemen, is the real deal. Penn State is a championship caliber team with weapons no defense is going to be able to adequately stop. Foolishly, I didn't think they were the #2 team in the country before yesterday. I'm starting to believe they are now. A huge showdown in Columbus next week will be the true test, and likely, the game of the year in the Big Ten. I'm not discouraged that much by the struggles of the defense yesterday. Penn State is damn good. And games like that, with a overwhelming homefield advantage full of emotion, can sort of get away from you. When the offense can't stay on the field for more than 3 plays at a time, what do you honestly expect? Don Brown is still a great defensive coordinator. I think this game spoke more to how great Penn State looked rather than how bad Michigan's defense looked. For Harbaugh and Michigan, the 2017 rebuild soldiers on. How Michigan finishes 2017 will have a huge impact on 2018...just like how last year's finish impacted this season. This is a relatively young team in most key areas. 8-4 was a reasonable expectation going into this season and Michigan appears to be right on track for that. The key moving forward is growth and confidence. 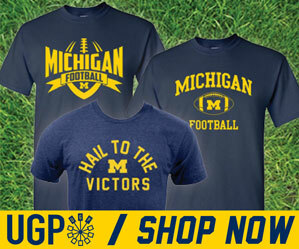 These next three games offer Michigan a shot at both of those.